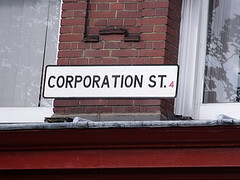 A corporation can be a licensed California real estate broker. All that is required is that an individual who is a licensed broker “place their license” with the corporation, by being the corporation’s designated officer/broker. State law assigns a duty to the designated officer to supervise the corporation’s salespeople. Experienced Sacramento and El Dorado real estate attorneys frequently see the designated officer named as an additional defendant in lawsuits against the corporation. A recent decision concluded that the designated officer does not owe a duty to the third party claimant under state law, nor through vicarious liability. In Sandler v Sanchez, Sandler was a lender who claimed that misrepresentations were made by the real estate sales licensee as to the value of the property the loan was secured by. Sandler wanted also to assess liability on the designated broker. The plaintiff pointed to Business and Professions code section 10159.2, which makes the designated officer/broker responsible for the supervision and control of the activities of the corporation’s salespeople. They claim that, because the designated officer did not supervise the salesperson who made the misrepresentations, the designated officer was liable for those misrepresentations. The court first looked at the statute, which does not say anything about liability to third parties such as this plaintiff. It noted that, prior to the enactment of this statute, courts had decided that the duty to supervise was only to the corporation, and not anyone else. So, while the corporation could sue the designated officer, third parties could not. It the reviewed the history of the statute, and concluded that it was intended to clarify that the duty was owed to the corporation, not third parties. This plaintiff had no claim against the designated officer under the statute. In Part 2 I will discuss vicariously liability, based on the claim that the broker is a principal, and the salesman his agent.